The Samuel Adams Single Batch series is a limited-edition collection of the Samuel Adams brewers’ favorite beers. Each is created with unique ingredients and is available nationwide in 22 ounce bottles. The lineup includes four beers: Griffin’s Bow, Tasman Red, Third Voyage and The Vixen. Griffin’s Bow is an Oak Blonde Barleywine with a deep fruit aroma and slight oak character. Tasman Red is a red IPA brewed with Topaz and Galaxy hops grown near the Tasmanian Sea. Third Voyage is a double IPA that is brewed with Cascade hops grown in three different regions of the world. The Vixen is a chocolate chili bock brewed with ancho and chipotle chilies. The beers range in price from $4.99 – $6.99 per bottle and are all currently hitting the marketplace. A sold out tasting event is being held at the brewery in Jamaica Plain tonight in honor of the release. 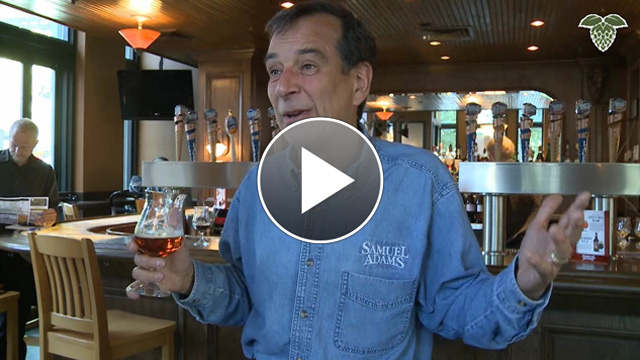 We caught up with Boston Beer Founder, Jim Koch, at the Great American Beer Fest and he discussed these new offerings and how they fit into a growing Boston Beer portfolio in our latest video interview.